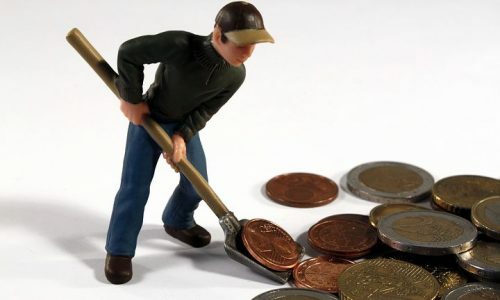 The attitude of crypto owners towards their usage of cryptocurrencies has been revealed by a survey. The survey was carried out by the Foundation for Interwallet Operability (FIO), an association of crypto exchanges and wallets. The survey revealed that most cryptocurrency owners seldom make payments with cryptocurrencies. The survey involved over 200 cryptocurrency users and revealed that people were still nervous about receiving or utilizing crypto as payments. The survey records show that only 43% of crypto users used cryptos in making payments while 30% sent cryptos to an alternate account or a third party at least once a month. On the other hand, 27% did not make use of their cryptos choosing instead to keep them idle. This means that about 70% of crypto owners seldom use cryptos for payments or never use it at all. The survey reveals that crypto users express their anxiety about making transactions with cryptocurrencies from the multiple questions they provided answers to. The questions range from their experiences while transacting to issues preventing wild spread usage. The FIO survey found out that only 25% of the crypto respondents who sent coins to third parties in 2018 felt “very comfortable” after concluding the transaction. 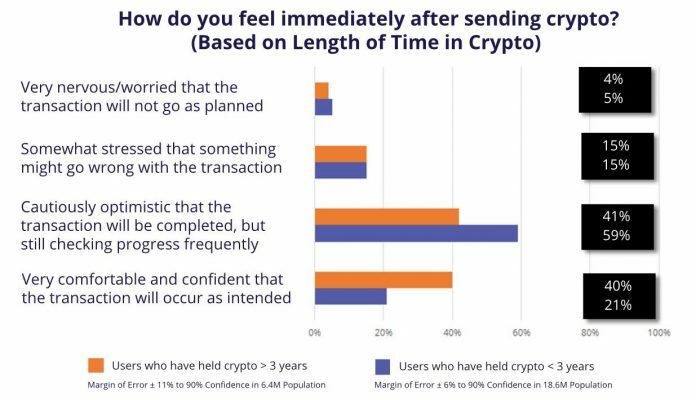 59% of the respondents, however, claimed that they felt “cautiously optimistic” on the other 17% claimed that they felt some level of anxiety, while the remaining 5% were very nervous about the possibility of the transaction not going according to plan. It may seem that the nervousness associated with transacting with cryptocurrency goes away with time as 40% of the respondents who had acquired their first cryptocurrency for the past three years claimed that they were “very comfortable” transacting with cryptos. On the other hand, only 21% of the respondents who started utilizing cryptos for fewer than three years felt the same. Most often the bulk of crypto users are split between Hodlers and Traders. This survey reveals that half of the respondent held between 1-5 different cryptocurrencies at a time while a quarter held between 6-10 and the other quarter held a diversified crypto portfolio of 10 to 20 different cryptos. Also, only 13% of the crypto owners had never used a wallet that stores their private keys. The crypto owners also wrote about the various challenges they faced while transacting with cryptocurrencies. These issues include high fees, the uncertainty of conformation time bug filled wallets and problems related to wallet address formats. What are your thoughts about the findings of the FIO survey? Kindly share your thoughts in the comments section below.